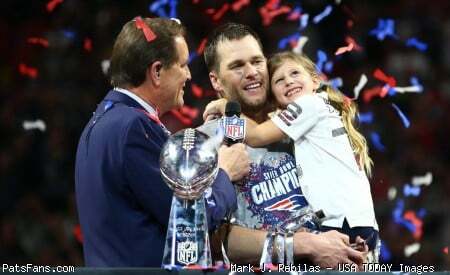 Discussion in 'PatsFans.com - Patriots Fan Forum' started by TommyBrady12, Feb 8, 2019. That somehow makes it better?? Mondo Bizarro in La La Land..
What I stated was fact. You can interpret the situation any way you wish. I don't think its a big deal. McVay, OTOH, is a class act. Really like him. Thanks for posting this because I couldn't decipher what Shula was saying on Sound FX. In the interests of honesty I'll admit that Brady may be better looking than I. Don Shula is the biggest fraud in sports. He failed to win a single title in seven seasons with the Baltimore Colts. The entire time he had a stacked roster with two MVP QBs in Unitas and Morrall. The team crapped the bed multiple times in big games after dominating the regular season. “If Shula was standing here right now, and he was on fire, I wouldn’t piss on him to put it out,” Unitas said before he died. The Colts won the year he left with Unitas the game’s MVP. He then inherited a talented roster in Miami after weaseling/tampering his way in. The 1972 team played the easiest historic schedule in league history and were underdogs in the SB. Back then an undefeated season wasn’t a big deal. They repeated in 1973. He then failed to win a championship for the next 23 seasons, 13 with Dan Marino. A career with 33 seasons, roughly 20 with an all-time great QB, and only 2 championships. Unitas and Marino arguably the two most talented passers to ever play. 2-5 record in title games. Did I mention he’s also a d0uche? Ok, did Unitas really say that? New Rams rallying cry: "Our quarterback is uglier!" Anyway...McVay was given a coaching clinic in that game, but he acknowledged it fully and my bet is on him learning from the experience. Good luck to the first team that tries to roll out a 6-1 front with quarters coverage against the Rams next season! While I agree that "the blueprint" stuff is often very idiotic because it requires the right personnel and still might not work the second time, I will say that if I've ever seen a "blueprint" game this would be the one. The Rams will obviously adapt this offseason rather than using a single concept, but they have been weakened overall by the presence defensive scheme. I am just shocked they had no Plan B. They'll have a Plan B next year, but will they still be able to maximize their personnel, average over 30 ppg, and cover up huge deficiencies in their QB? I'm not so sure. I feel like they are just very insecure because for years Don Shula was the best coach since Lombardi and now he's been clearly surpassed by Belichick . He was never the best coach. The best coach doesn't lose the SB to the Jets, and the best coach finds a way to win at LEAST one SB with Marino. I think Shula has 2 SBs, no? 2 wins and 2 losses. **** Don Shula, Mike Shula, Chris Shula, all the Shulas. And relish the fact that with every Patriots win, every playoff victory, every championship, makes them more, and more, and more irrelevant, relegated into the 'Oh yeah, That Guy' Dustbin of History. 2-4 in Super Bowls. 1968 was Super Bowl III, the Namath game, which was the first to be called an actual Super Bowl. Also lost with Dolphins in 1971 1982, and 1984. He also lost the 1964 NFL championship game to the Cleveland Browns. 2-5 in NFL Championship games..
Yeah, you're right. 2 and 4. I want to give this the “winner” tag but for Shula we really need a “loser” tag. That team hates its coach. "UNDEFEATED! Huh? what? Sure coach make boom boom for nursie poo!" Unitas revealed his shortcomings in practice, which led to the bad blood, tells you all you need to know what kind of person Shula is.